When I arrived at Mount St. Mary’s Seminary as the rector three years ago, I thought I knew how to answer the question of how someone becomes a Catholic priest. I was wrong. Pope Francis has helped all of us — whether Catholic or not — to see more concretely the fundamentals of being a disciple of Jesus Christ. With the publication of new guidelines for the formation of priests called “The Gift of the Priestly Vocation,” known in Latin shorthand as the “Ratio Fundamentalis,” the pope has set forth his vision of forming priests. On March 8, the pope’s ambassador to the United States, also known as the apostolic nuncio, Archbishop Christophe Pierre, visited the Mount and unpacked the gift of these guidelines, providing key themes and offering a unique insight into the pope’s vision of priestly formation. At the heart of priestly formation is the “new missionary spirit that must take hold of the church.” Each future priest must see himself as a missionary disciple sent out to embark on a new chapter of evangelization. For those of us involved in seminary formation, all of the prayer, study and pastoral experiences must have this missionary focus and purpose. Time in the seminary is about more than gaining a deeper understanding of philosophy and theology, and growing in one’s prayer life. As the nuncio put it, an integrated formation prepares the seminarian and the priest “to go out of himself, to not be self-referential but to look to the essential needs of the flock.” It is about learning how to joyfully share a relationship with Christ and his church with others. This advice melds well with Pope Francis’ image of the church as a field hospital. People are in need of the medicine of Christ’s mercy. They need priests who approach the wounded and sick where they are. They are doctors of the tender heart of God who go out and find their patients. The “Ratio Fundamentalis” sets forth four main stages of seminary formation: preparatory, discipleship (coinciding with study of philosophy), configuration (corresponding to a time of theological studies) and pastoral. Each stage has an overarching theme that incorporates and transcends the academic requirements necessary for the education of seminarians. It proposes an integrated “formation” of the person aimed at the development of “a pastor, anointed for the people, a missionary announcing the Gospel,” as Archbishop Pierre said. These stages clearly emphasize the cumulative character of the formation process. It is not “jumping through hoops” to get to the next stage. Rather, one stage builds on and presupposes the previous stage. The initial preparation serves as the ground for all the other stages. The years of concentrating on being a disciple of Jesus Christ carries over to each subsequent stage. Thus, according to Pope Francis, a priest is always a disciple and never simply a shepherd. The final two stages flow out of the previous stages and find expression in the specific vocation and mission of a priest. Seminaries are indeed positioned to study and address the epochal issues and changes of our times. However, this “rarified air” of study can easily isolate seminarians from the world. The nuncio challenged seminaries to be places in which “the rich cultures of a universal church in a globalized world are experienced, offering challenges and opening new horizons” without closing seminarians to the world around them. The formation of priests is no easy task. With the help of these guidelines from Pope Francis, I am certain that seminaries will continue to play a critical role in the health of the church. Msgr. 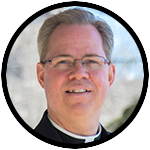 Baker is rector of Mount St. Mary’s Seminary in Emmitsburg, Maryland, and a priest of the Diocese of Allentown.